How to Meal plan – EVERYTHING you need to know about how to meal plan in one place…. 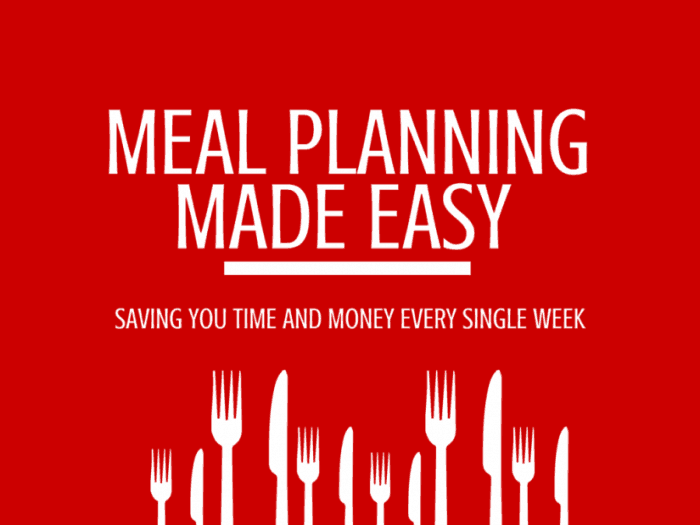 I’ve written about meal planning and shared my thoughts on how to meal plan lots of times on here but I never get tired of telling you about it because I know just how much money meal planning can save you! Whenever I’m asked what I think the best way to save money at home is or what my best money saving tip is, I always say to start with meal planning. 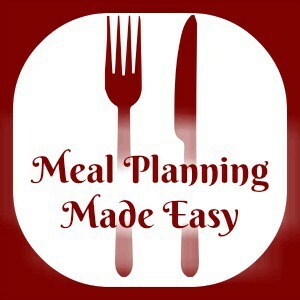 Without a doubt in my mind I can tell you that meal planning is the easiest way to save money quickly by far. You could literally start meal planning today and the very next time you go shopping you’ll see a reduction in your shopping bill (unless you plan expensive meals ;-)). 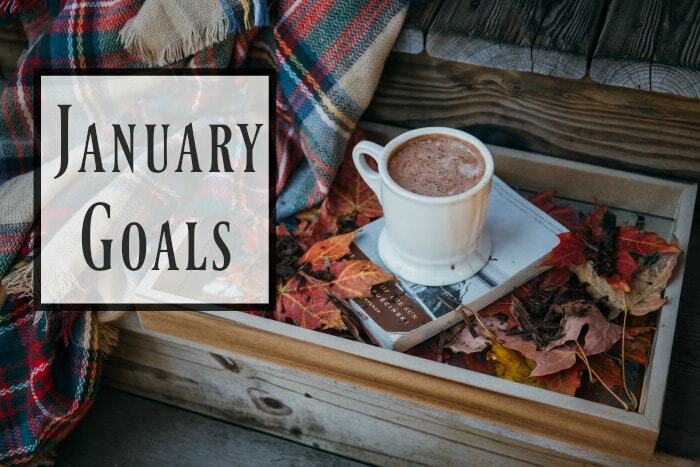 I’m pretty sure that lots of us will have something to do with meal planning in our New Year’s Resolutions this year, whether it’s to start meal planning or just to get better at it so I thought now would be a good time to do a bit of an all things meal planning kind of post! 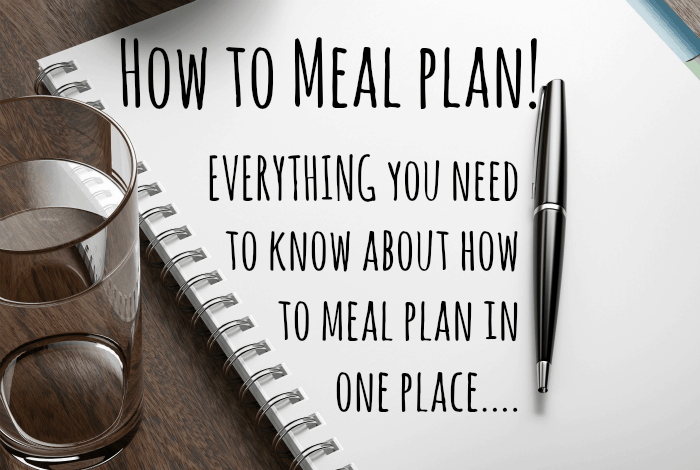 So, here you go – EVERYTHING you need to know about how to meal plan in one place. 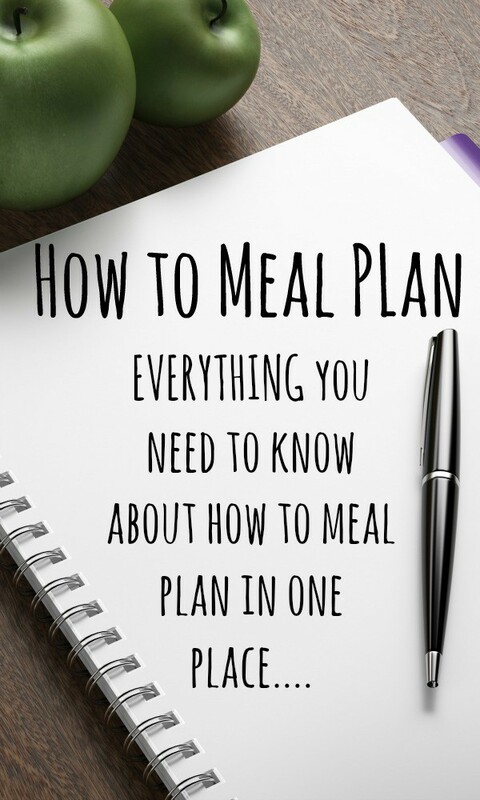 First up, if you’re not sure what meal planning is then it’s exactly what it sounds like – it’s simply planning your meals in advance. By spending a few minutes at the beginning of the week planning, you can save both time and money as well as having more control over the food your family is eating. I plan my meals weekly starting from Monday, ending up the following Sunday and I now do my weekly shop on a Monday rather after I realised that the food I was buying was being eaten over the weekend when everyone was off school and work and feeling picky. They would automatically reach for the treat things which meant they weren’t lasting the full week. Now they have to hunt a bit harder for their weekend snacks and be a bit more creative which means that I save money and usually, they eat better. On a Sunday night or a Monday morning, I take a few minutes to write a quick list of the food we have in the cupboards, fridge and freezer and I refer to that list as I’m writing my meal plan. I try to use as much of the food we already have in for the planned meals so I have to add as little as possible to our shopping list. My freezer will usually have at least a few things in that I’ve picked up the week before in the reduced section when I’m doing my shopping and I also have a drawer just for things like frozen veg which is quite cheap to buy and just as nutritious as fresh which saves me having to pop to the shops for fresh veg if we’ve ran out. I also do things like batch cooking and freezing our leftovers where I can to make sure that there are plenty of homemade ‘ready’ meals in the house which makes even a planned lazy tea night into a night where we enjoy home cooked food. 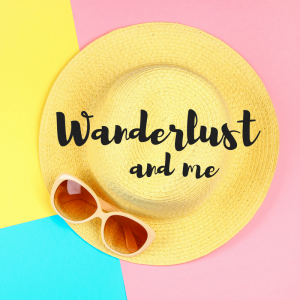 To make things even quicker when I’m writing my shopping list, I spent half an hour one day last year writing a list of meals that we eat on a regular basis and the things I need for them. It sounds a bit OTT but I know for example that if I have some chicken to use up and I plan fajitas that I need to make sure we have in the things I need to cook fajitas. So it takes me two seconds to look at my list of meals and see that I need fajita seasoning, wraps, peppers and onions. It’s not rocket science to figure that out without the list but it takes me seconds doing it this way and to be fair, fajitas is a pretty simple example. 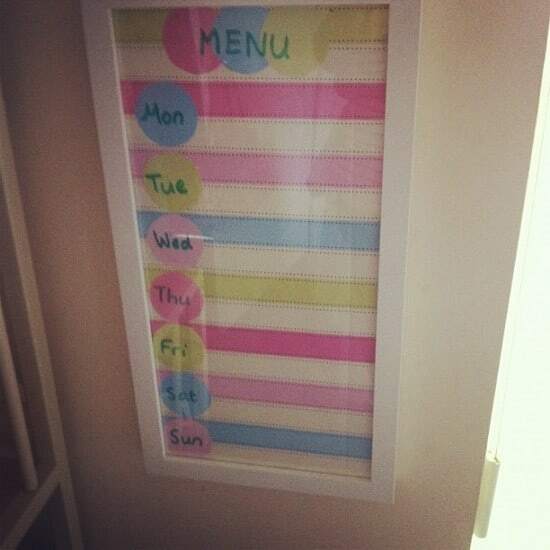 Some meals are more complicated and I used to forget random things which would need a trip to the shops to buy. Having a shopping list means that I’ll just buy the food we need rather than walking around the supermarket trying to work out a vague meal plan in my head which will only mean that I’ll either not buy enough or I’ll buy too much. If you buy too much or too little then your weekly shopping will more than likely end up costing you more money – extra trips to the shop always end up costing me more as it’s rare that I’ll only buy what I need and too much food could result in food being wasted and thrown away! 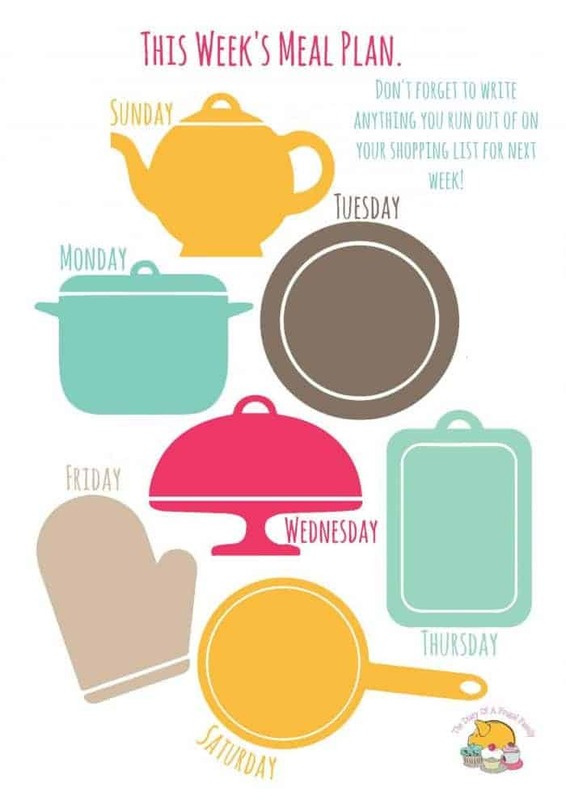 So that’s how I meal plan each week! 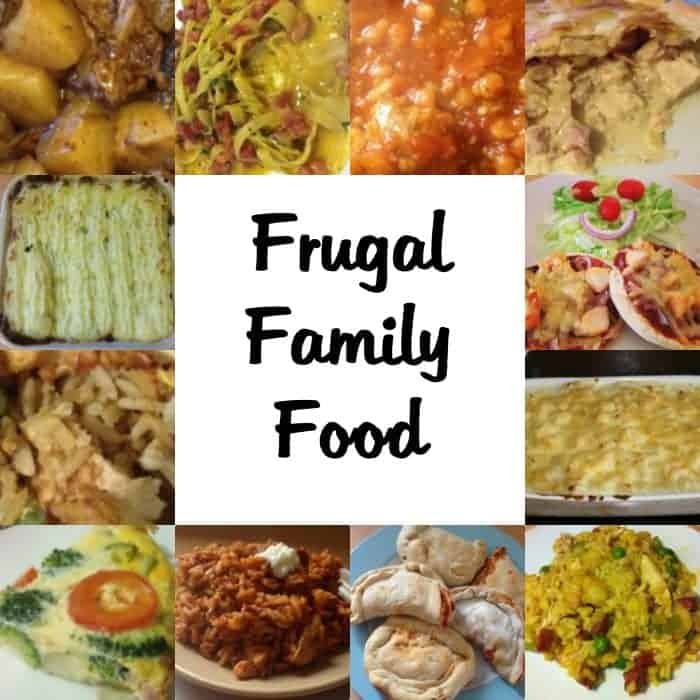 I love to plan our meals because we save money on our shopping every week as we’re only buying what we need, we have less food wastage and I feel much more organised during the week as I know what we’ll be eating on any given day (although we do swap about a bit). 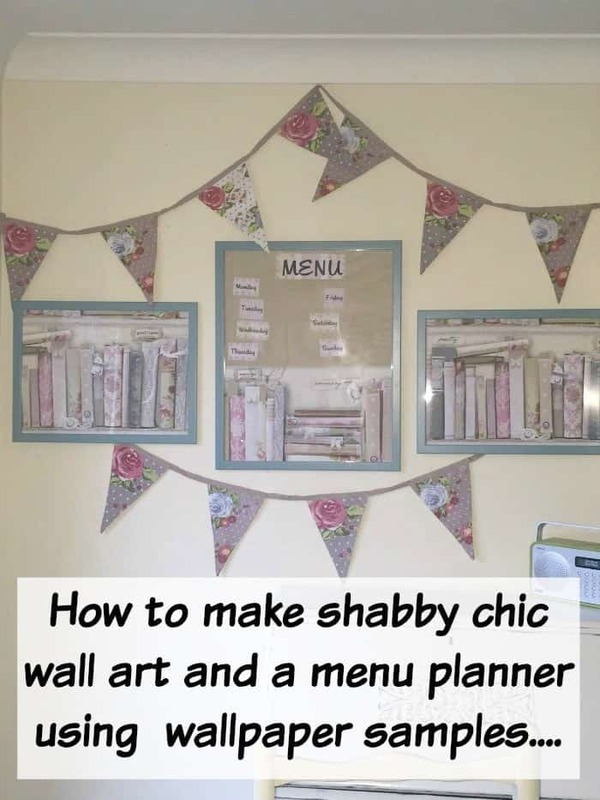 You don’t need anything fancy to meal plan, a plain old notebook or even the back of a used envelope will do the job but if you do want to get fancy then by all means, read on…. Or the one we have now which I made from wallpaper samples and a couple of Ikea frames…. And just in case you’re after more meal planning inspiration, I do have a much neglected meal planning blog which I’m hoping to get dusted off and back in action this year – it’s called Meal Planning Made Easy and I try and share my meal planning posts over there…. I think that just about covers all things meal planning.